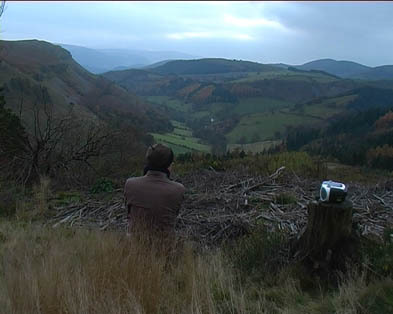 about the media The DVD shows a 6 minute film of a man alone speaking to the landscape of Shropshire. It stems from a DVD with 6 different movies. about the project The film starts with views of a mountain landscape, slowly fading into new, closer views almost appearing to be paintings. Then a young man steps into the scene, carrying a CD player. 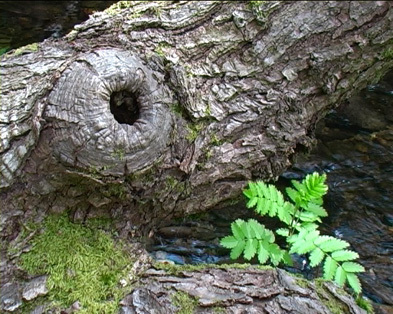 He puts the player on a tree trunk, pushing the buttons, issuing the gentle sounds of an acoustic guitar. He sits down in the landscape, his back turned to the viewer. The man, although alone, starts a dialogue, gesturing with his arms, moving — as if he speaks with the landscape. After a while he gets up, takes his CD player and walks away. about artist and participants Richard T. Walker was born in Shropshire in 1977 and lives in London. He graduated from Goldsmiths College. 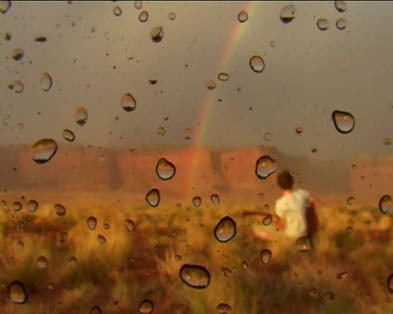 Walker makes videos about the impossibility of the Romantic engagement with the landscape. His works often use music composed and performed by the artist. In this film we see Walker himself, travelling back to his place of birth.